Fabulous Feline™ is a whole lot of fun – and helps say congrats on your new little one! 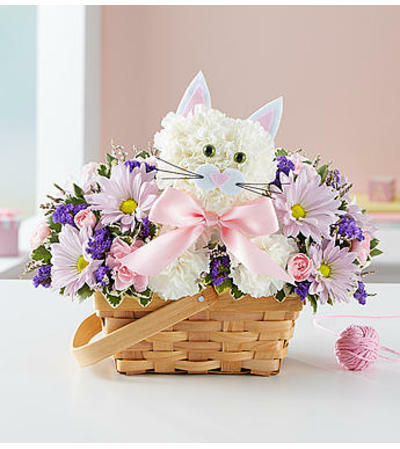 Fresh white carnations are expertly crafted in the shape of an adorable cat, surrounded by a mix of colorful blooms and nestled inside a charming basket. 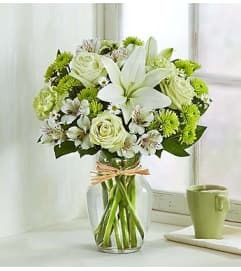 Choose “baby girl” or “baby boy” for a sweet, thoughtful gift for the new parents.